Looking for a fast and smooth vps / dedicated / shared / cloud server for your phpFox? We can help you with that. phpFoxer will help you in server setup, phpFox installation, configuration and more. 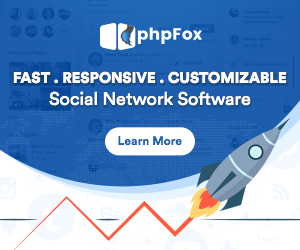 phpFox performance on v3 is a known issue which is usually caused by a bad hosting, inappropriate configurations and big amount of modules that require optimization. phpFox v4 is much better in regards of performance, but still requires professional attention on not optimized web servers. It becomes a very critical problem as soon as your social network grows up and have a lot of active users and increasing traffic of new users. We've partnered and worked together with Hostiso hosting provider to offer you optimized servers that improve phpFox performance.